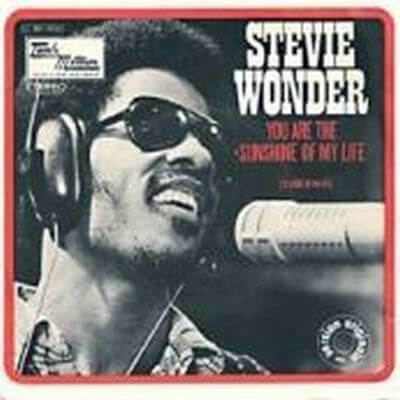 "You Are The Sunshine Of My Life" became the third single for Wonder No. 1 on the Billboard Hot 100. He won the Grammy Award for Best Male Pop Vocal Performance, and was nominated for Record of the Year and Song of the Year. The song is an RnB ballad composed two years earlier and not published until the desired sound in his mind. This song was the second single from 1972 album Talking Book, which remained at number one in the lists of R&B for three weeks. Without doubt one of the best love songs ever composed, and the magazin Rolling Stone ranked the song at the number 281 on the list of the "500 Greatest Songs of All Time". The song helped the album was in 1993 considered by the same magazine as one of the top 100 albums of the history of music. The song was recorded at Electric Lady Studios in New York, being the first two lines sung, not by Wonder, but by Jim Gilstrap and with Lani Groves singing the next two lines, to continue to the end the same Stevie Wonder.